Love is in the air! As an early Valentine’s Day gift to you, I’m giving you all the scoop on the Ancient Egyptian equivalent of Roses, Chocolates, and Singing Valentines: Love Poetry. Before we get to the poems, it’s important to know that this type of composition wasn’t the only kind of writing that Ancient Egyptians produced for fun. There is a rich collection of literature describing the adventures of magicians, epic poems, epic journeys, and even a few fairy-tale like stories. The Ancient Egyptian love poems that have been discovered date to the Ramesside period, around the 13th-12th centuries BC. All of the love poems are from the same location: the workmen’s village at Deir el-Medina. Three papyri, one fragmented pottery jar, and twenty separate stanzas were discovered in the village. All were written in the Late Egyptian phase of hieroglyphics, a formal version of the spoken language of Ancient Egypt. The contents of the poems, also referred to as “songs”, lead Egyptologists to believe that they were written to echo the elite lives of the palace and court of the king. 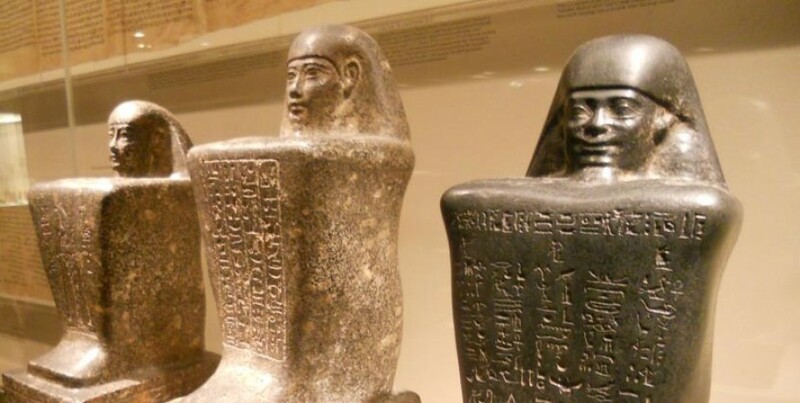 One vital difference between Ancient Egyptian love poetry and our own? The terms ‘brother’ and ‘sister’ were used to indicate intimacy and affection, not familial relations. The use of these terms in a romantic way was the basis of the argument that sibling marriages were common in Ancient Egypt, which is untrue for the common people. Even on a royal scale, sibling marriages occurred to secure power, not for the reasons we imagine ourselves being married today. She is the fairest of all. when she steps on the earth. turn round at the sight of her. he has made sickness seize hold of me. and I cannot even tell that he has been. let them shout out for you, brother. …or the struggle of heartache…. at the memory of your love. it has strayed from its shelter. I am not anointed with oil. it tells me at each memory of him. why are you acting the fool? but my eye is just as troubled. My heart, do not stray. The love poetry of Ancient Egypt is a rare and beautiful “sneak peek” into the more emotional side of life in the ancient world. Although the techniques of verbal flirting that these works represent may be considered a little “old-fashioned” by today’s standards, take notes boys—I’m certain any girl—ancient or modern–loves a poem that calls her a goddess.